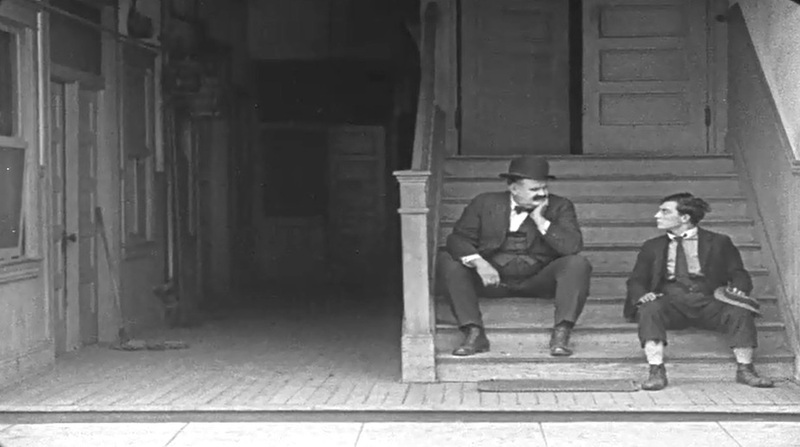 "The Goat" is a short comedy, starring Buster Keaton and featuring Joe Roberts, a star of Silent Hall of Fame. The film is full of hilarious moments and a lot of fast action. It enjoys a very strong rating on IMDB. 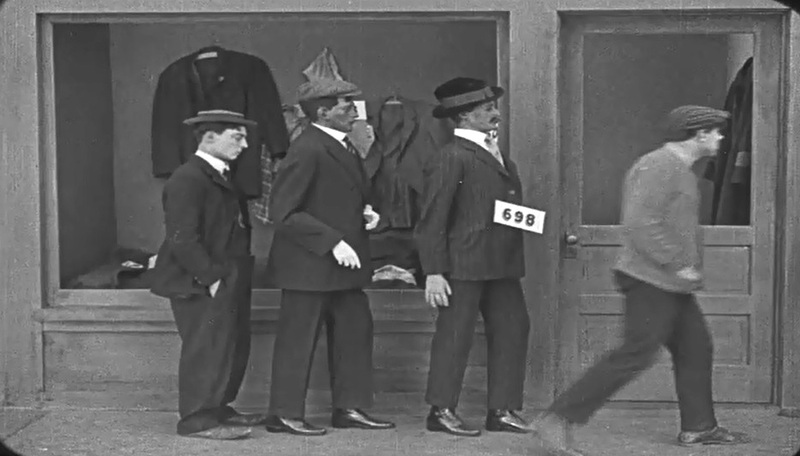 Buster Keaton is in line for free bread behind two mannequins in "The Goat" (1921). 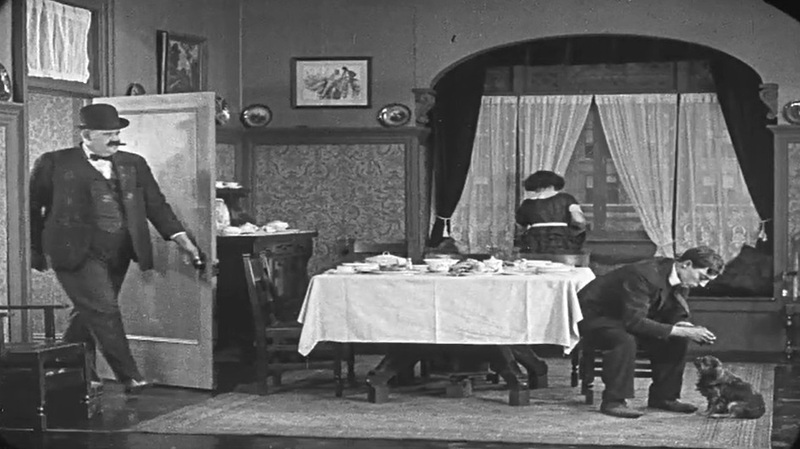 The two mannequins are gone and so is the bread as Buster Keaton ends up empty handed in "The Goat" (1921). 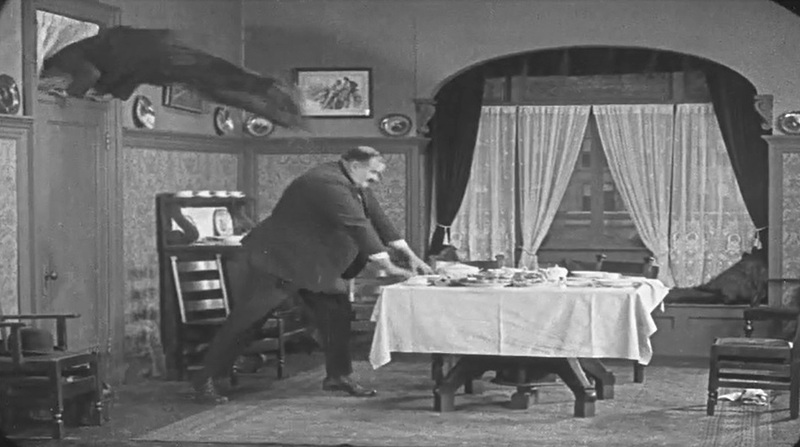 Buster Keaton defends Virginia Fox from a bully in "The Goat" (1921). 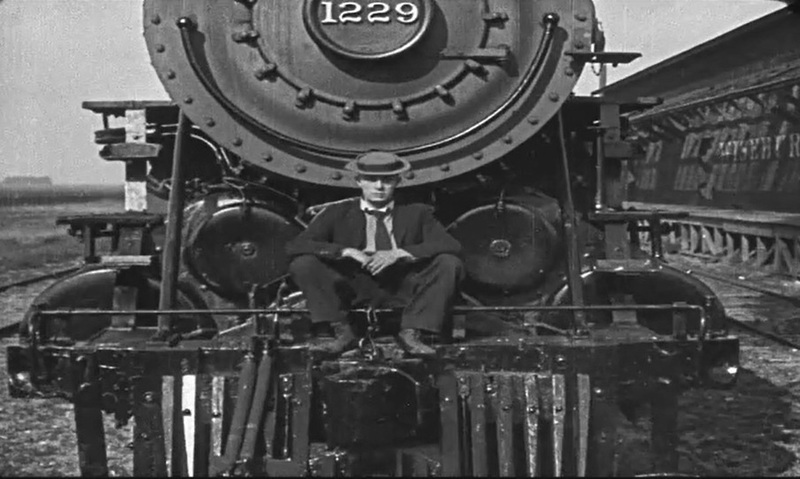 Buster Keaton riding on top of a locomotive in an iconic image from "The Goat" (1921). 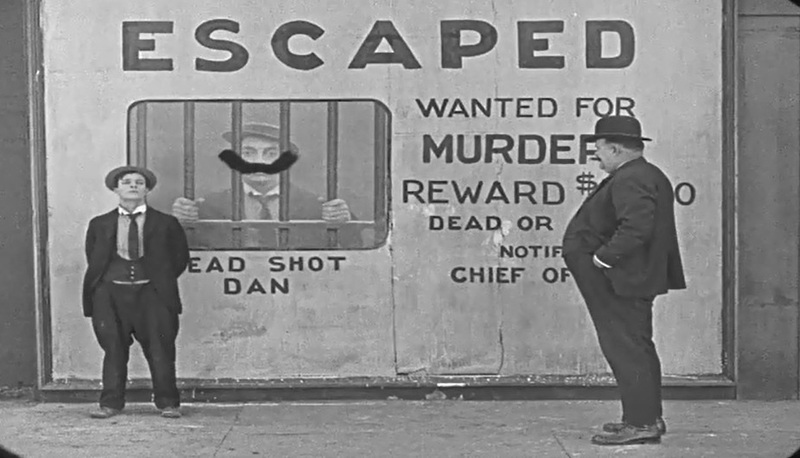 Buster Keaton peeks inside the prison as an astute Mal St. Clair takes his mug shot in "The Goat" (1921). 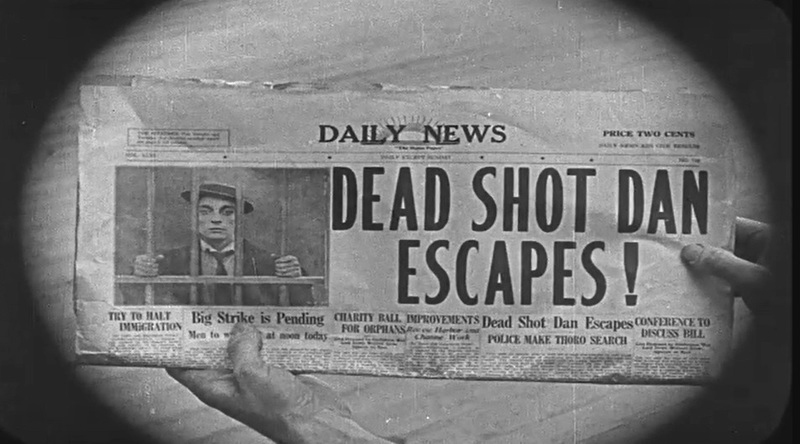 Buster Keaton's mug shot is in the newspapers in "The Goat" (1921). 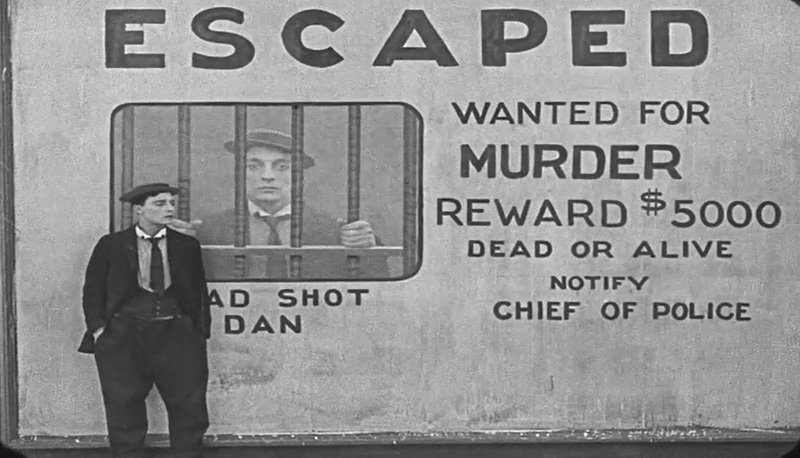 Buster Keaton's mug shot is on the posters as he is oblivious of his predicament in "The Goat" (1921). 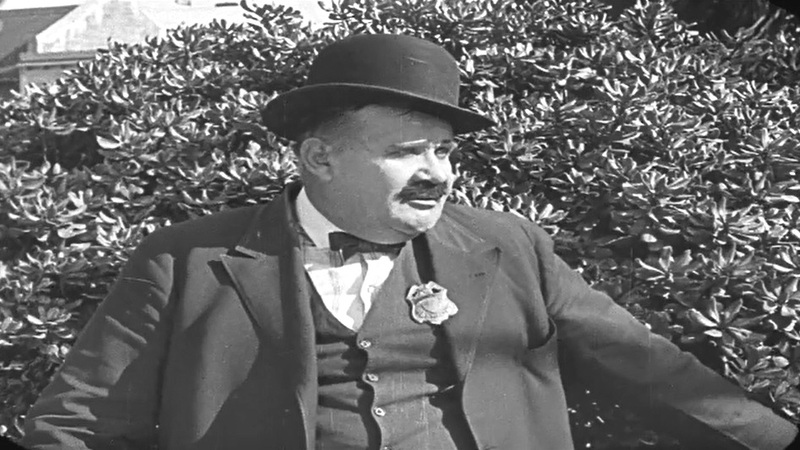 Joe Roberts is the police chief checking on Buster Keaton in "The Goat" (1921). 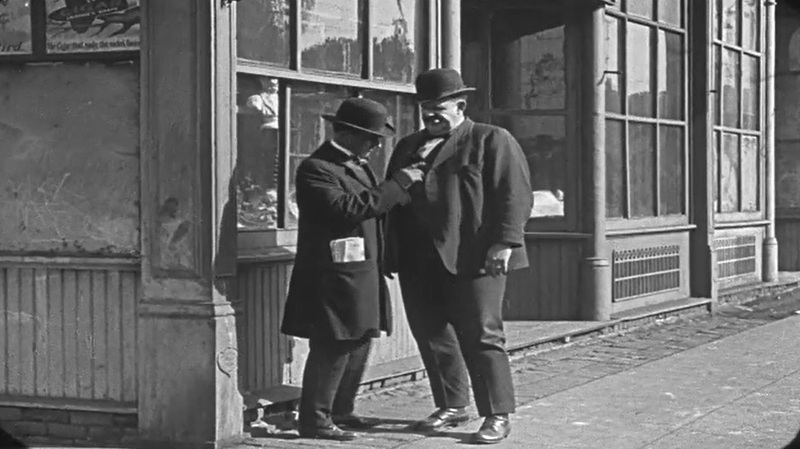 Joe Roberts gets a tip from an informant in "The Goat" (1921). 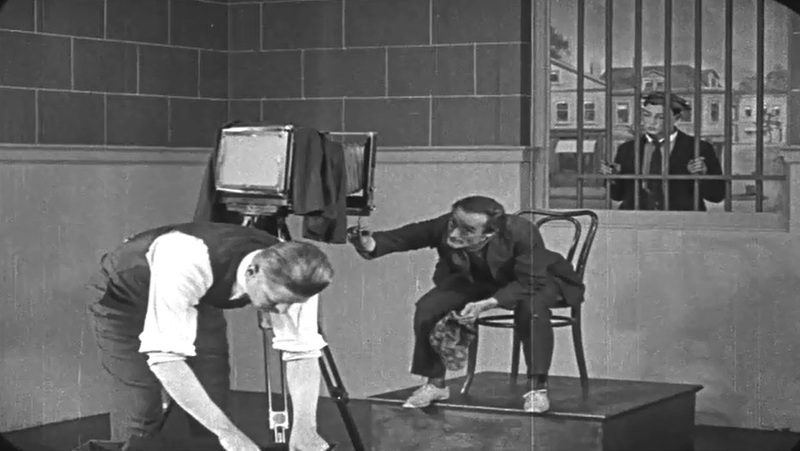 Joe Roberts is not fooled by Buster Keaton in "The Goat" (1921). 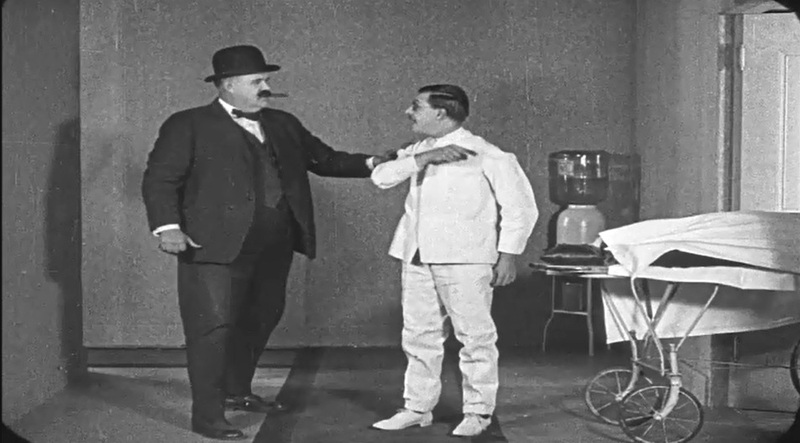 Buster Keaton hides from Joe Roberts in a surgery room in "The Goat" (1921). 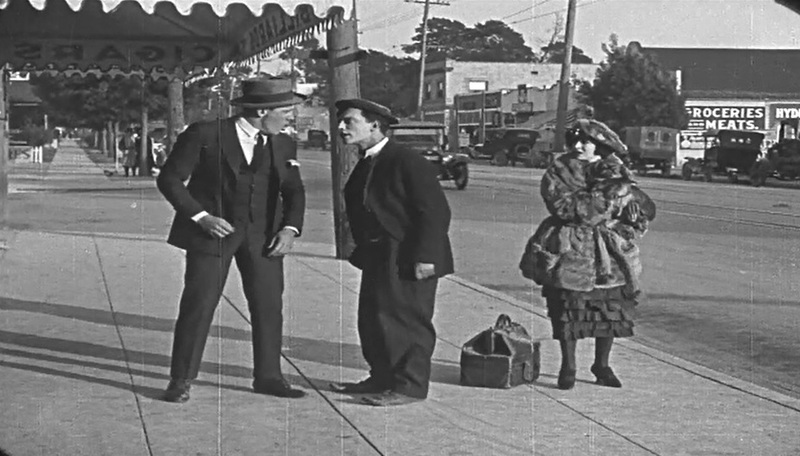 Buster Keaton bumps into Joe Roberts again in "The Goat" (1921). 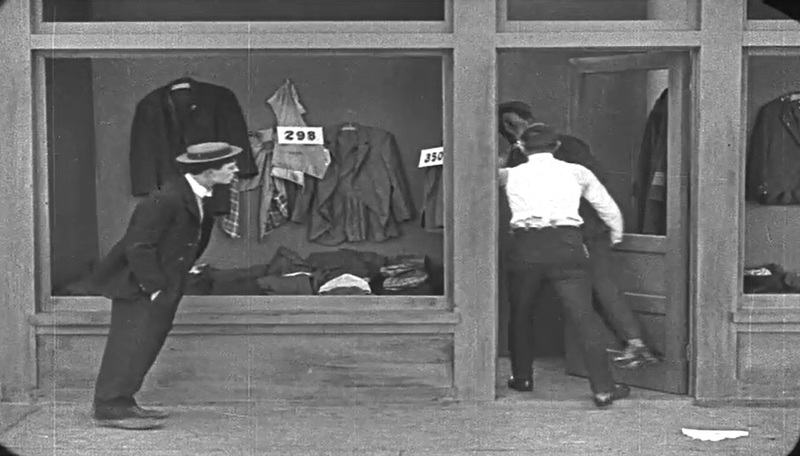 Joe Roberts chases Buster Keaton in "The Goat" (1921). 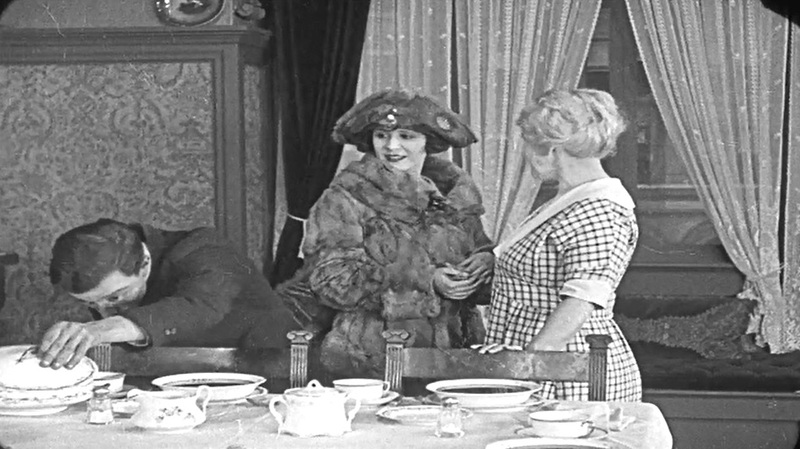 Buster Keaton checks the menu as Virginia Fix looks with interest in "The Goat" (1921). 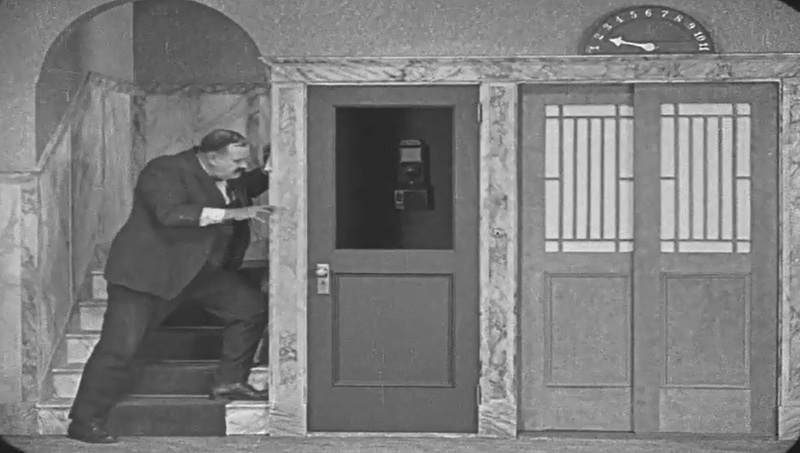 Buster Keaton will soon find out that he is in the home of Joe Roberts in "The Goat" (1921). 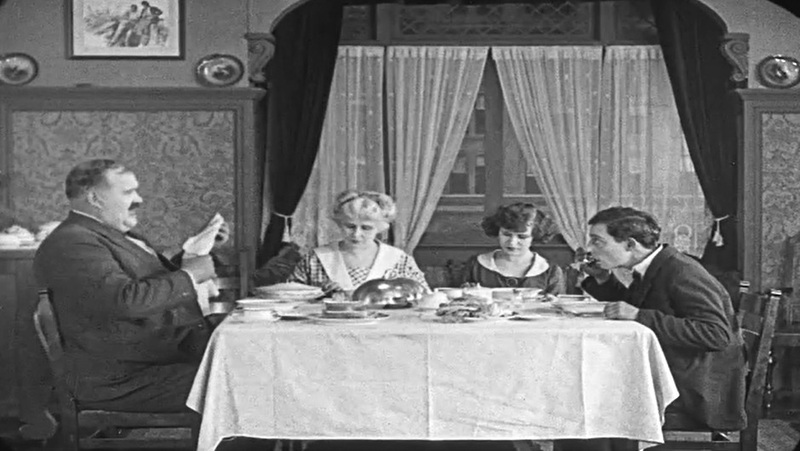 Buster Keaton and Joe Roberts notice each other in "The Goat" (1921). 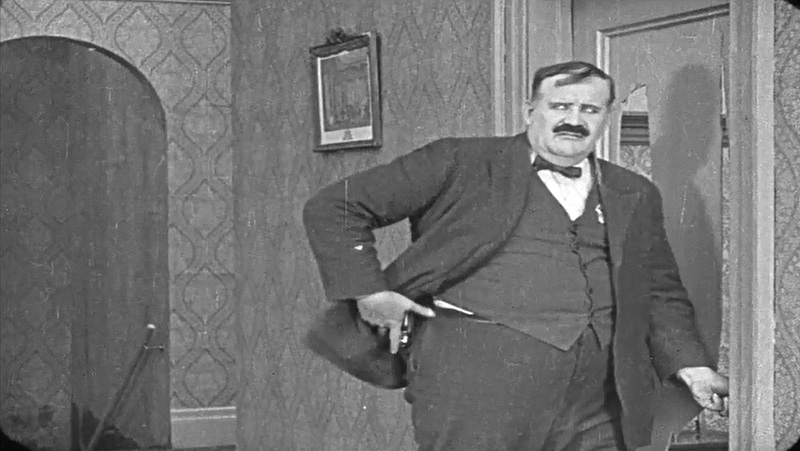 Joe Roberts shows his fury in "The Goat" (1921). 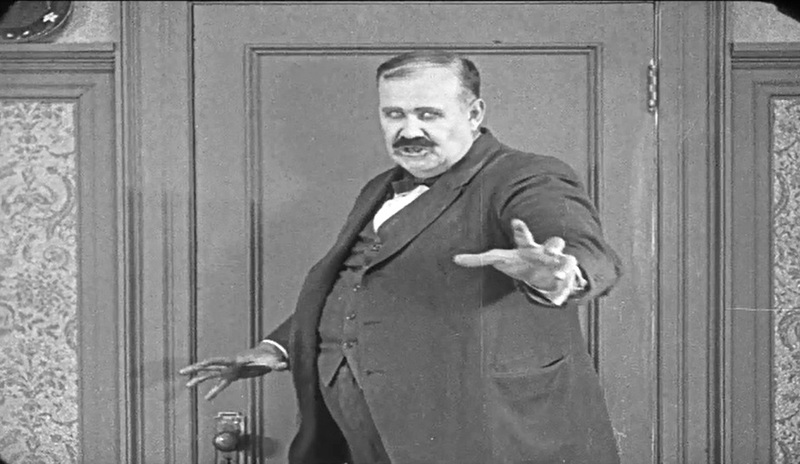 Joe Roberts shows some more fury by bending the key with bare fingers in "The Goat" (1921). 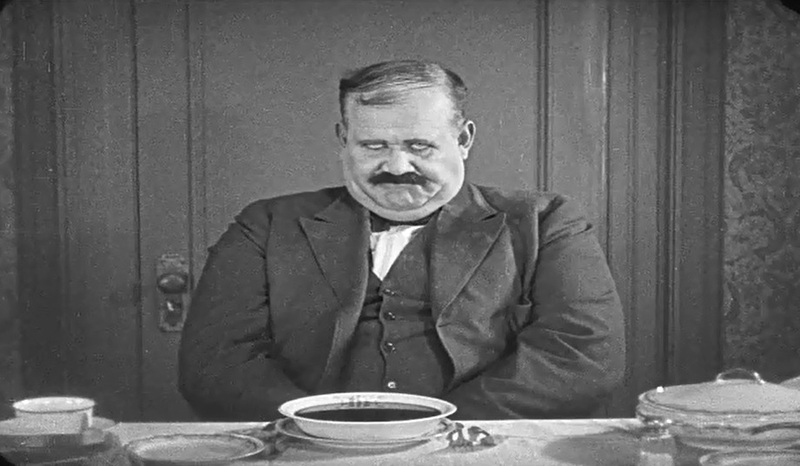 Joe Roberts is really furious at Buster Keaton in "The Goat" (1921). 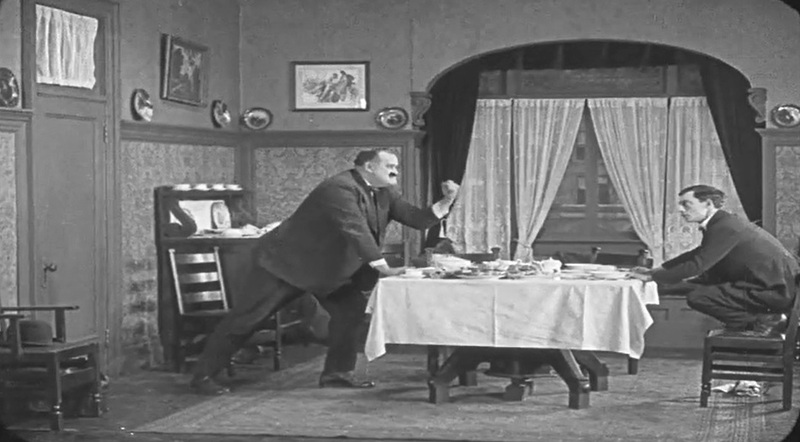 Joe Roberts shows Buster Keaton his fury in "The Goat" (1921). Buster Keaton makes a clean escape using Joe Roberts' shoulders as a trampoline in a breathtaking leap in "The Goat" (1921). 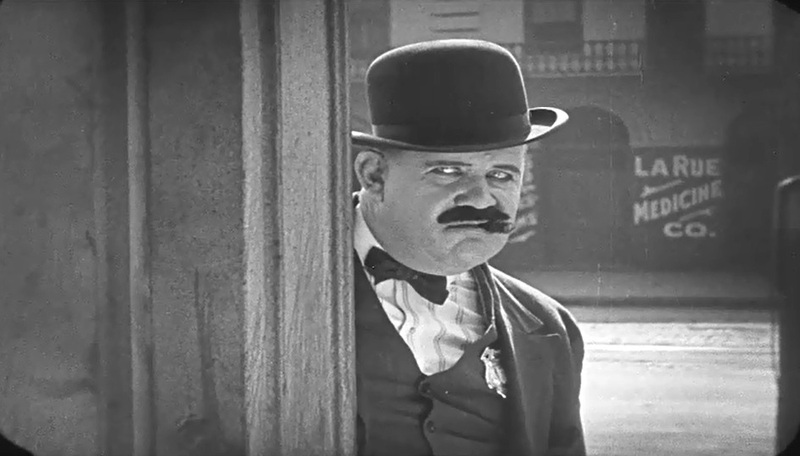 Joe Roberts tries to outfox Buster Keaton in "The Goat" (1921). 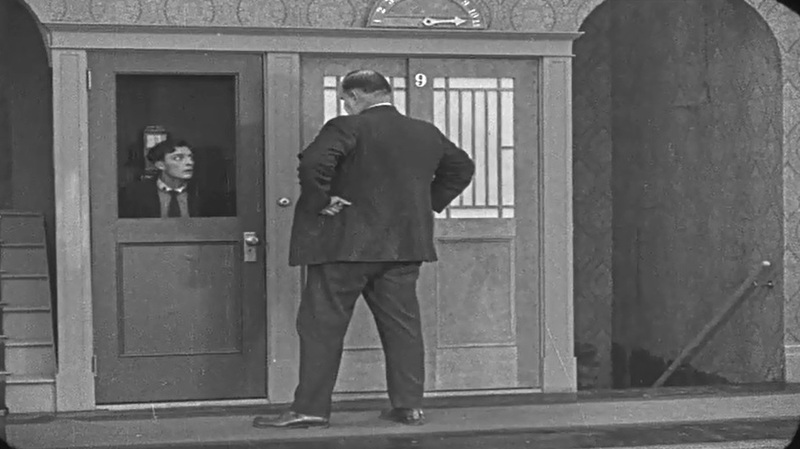 Joe Roberts has Buster Keaton cornered in "The Goat" (1921). 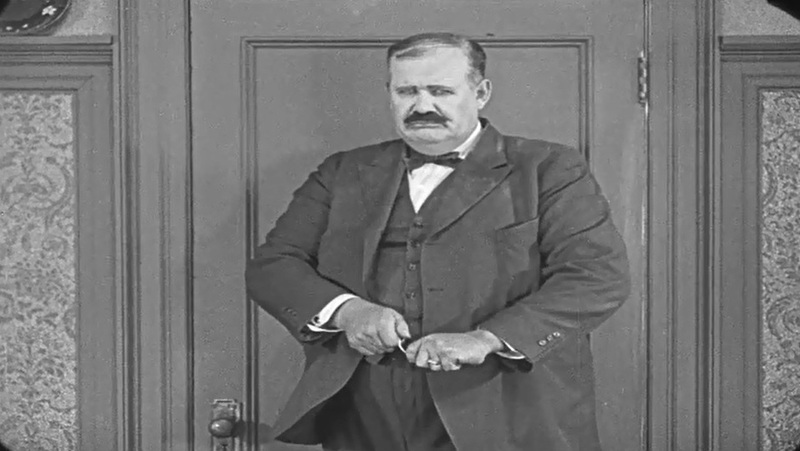 Joe Roberts checks his gun in "The Goat" (1921).